Josiah Nelson, age 23, of Hastings, passed away February 15, 2017 at Mary Lanning Healthcare in Hastings, Nebraska due to injuries from a motorcycle/car accident. A Family and Friends gathering will be held from 11:00 A.M. until 12:00 P.M. Monday, February 20th at Higby-McQuiston Mortuary in Aurora, NE. Memorials may be made to the family to be designated at a later date. Higby-McQuiston Mortuary is in charge of arrangements. Condolences may be e-mailed to the family through the mortuary website at www.higbymortuary.com. 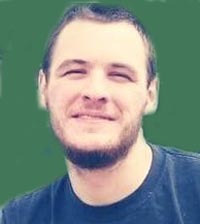 Josiah Richard Nelson, the son of Nicole Nelson, was born at Kearney, Nebraska on January 1, 1994 and passed away at Hastings, Nebraska on February 15, 2017, at the age of 23. Josiah grew up in Aurora and graduated from Aurora High School in 2012. Following his graduation from high school he attended and graduated from Auto Diesel College in Nashville, Tennessee. Josiah then moved to Hastings, Nebraska where he was employed by Wal-Mart. Josiah was a member of the 0022 Family. He enjoyed working on his cars and playing the drums. He was preceded in death by his great-grandparents. Those who remain to cherish his memory are his parents, Nicole & Matthew Bacon of Gainesboro, TN; sister, Mattea Bacon of Gainesboro, TN; grandparents, Charles and Janice Nelson of Gainesboro, TN and Melvin and Raydene Bacon of Aurora; Godparents, Clifford and Janet Brown of Lexington; numerous aunts, uncles, cousins, other family members and many close friends.